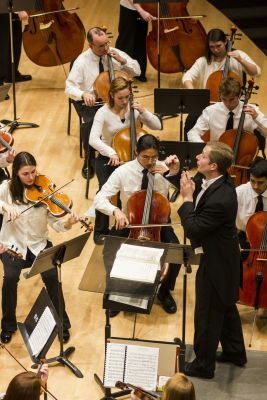 Date and time: Sunday, May 10, 2015, 7:30 p.m.
Two Elkhart County youth orchestras will present their spring concert in the Goshen College Music Center’s Sauder Concert Hall on Sunday, May 10, 2015. 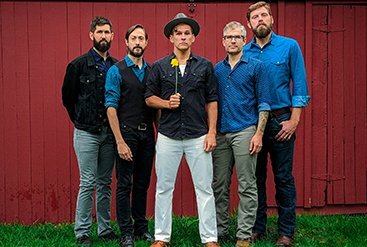 The concert will begin at 7:30 p.m. Performing will be the Youth Honors Concert Orchestra (grades 7-9), conducted by Kyle Miller, and the Youth Honors Symphony Orchestra (grades 9-12), conducted by YHO Artistic Director Josh Aerie. Both ensembles are comprised of outstanding Elkhart County string, wind and brass players selected by audition. 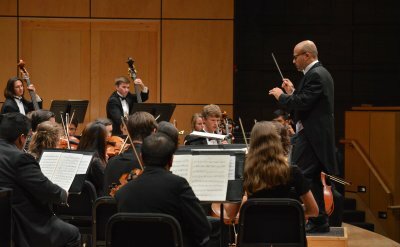 The program will include favorite works from the film and television genres, including performances of music from “Jurassic Park: The Lost World,” “Pirates of the Caribbean: Dead Man’s Chest” and HBO’s “Game of Thrones.” The orchestras will also perform classical works by Erik Satie and Modest Mussorgsky. Tickets are $7 for adults, $5 for seniors/students, available at the door one hour before the concert. 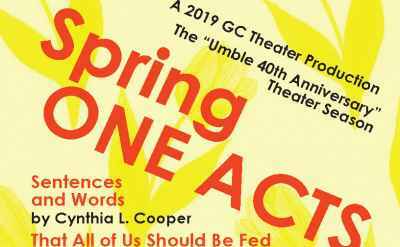 Goshen College faculty/staff/students are free with ID. Kyle Miller, conductor of the Elkhart County Youth Honors Concert Orchestra, is the orchestra director at Pierre Moran Middle School and assists with the orchestras at Elkhart Central High School. Born and raised in Indianapolis, Miller studied at Indiana State University, receiving his bachelor’s degree in music education and the President’s Award for Civic Leadership and Community Engagement in 2012. An accomplished musician, Miller is a cellist with the Elkhart County Symphony and also enjoys playing the violin and fiddling. An advocate for arts education, Miller started and instructed preparatory string classes for the Crossroads of America Youth Orchestra and founded a fiddle group at Woodrow Wilson Middle School in Terre Haute, Indiana. In January 2015, Miller received the New Orchestra Teacher of the Year Award from the Indiana American String Teachers Association, honoring outstanding Indiana music educators. Josh Aerie is Artistic Director and Conductor of the Elkhart County Youth Honors Symphony Orchestra. Aerie previously served as music director of the Heartland, Mesabi and Red Cedar symphonies, and co-founded the North Shore Philharmonic in Duluth, Minnesota. He is currently music director of the Hyde Park Youth Symphony in Chicago and has guest-conducted various orchestras throughout the region, including the Elkhart County Symphony. Aerie’s career highlights include major-label recordings, nationally syndicated television appearances and premiering new works as both conductor and cellist. He received his master’s degree in cello performance under a string quartet fellowship from the University of Colorado, and completed undergraduate studies at Oberlin Conservatory and College in both cello performance and anthropology. Aerie is also a mentor for the Fischoff National Chamber Music Association and a founding member of The Sylvan Trio for flute, cello and piano.